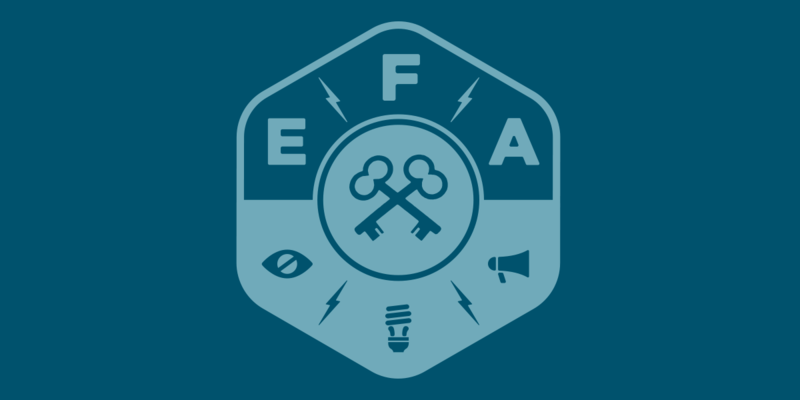 The Electronic Frontier Alliance is a grassroots network of community and campus organizations across the United States working to educate our neighbors about the importance of digital rights. Participation is open to any group that endorses our simple principles. Read our FAQ. People should be able to speak their minds to whoever will listen. Technology should be trustworthy and answer to its users. Technology should allow private and anonymous speech, and allow users to set their own parameters about what to share with whom. Technology should promote progress by allowing people to build on the ideas, creations, and inventions of others. Curiosity should be rewarded, not stifled. We uphold these principles by fighting for transparency and freedom in culture, code, and law. Are you part of an organization? If your group supports principles uniting the Electronic Frontier Alliance, share them within your organization and join the EFA to connect with allies across the country.